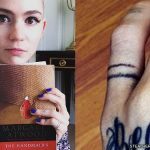 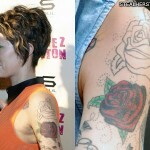 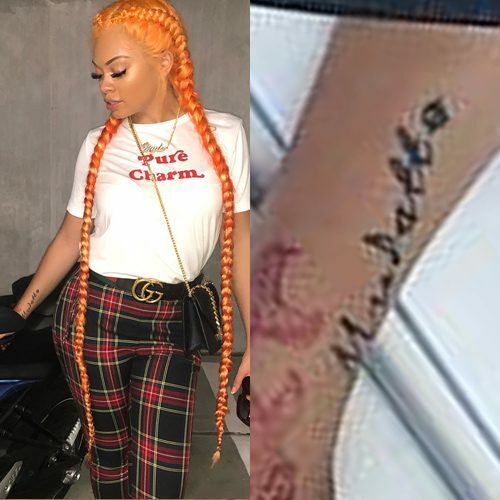 Miss Mulatto has her own name “Mulatto” tattooed on her right forearm. 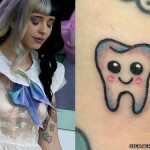 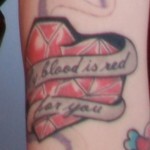 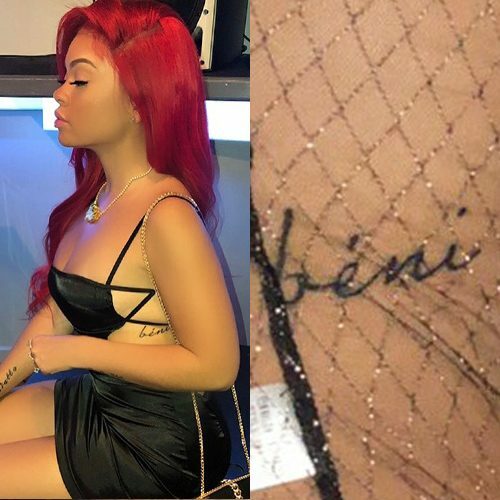 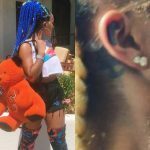 Miss Mulatto has a tattoo with the word “béni” on her left side – which is the French word for “blessed”. 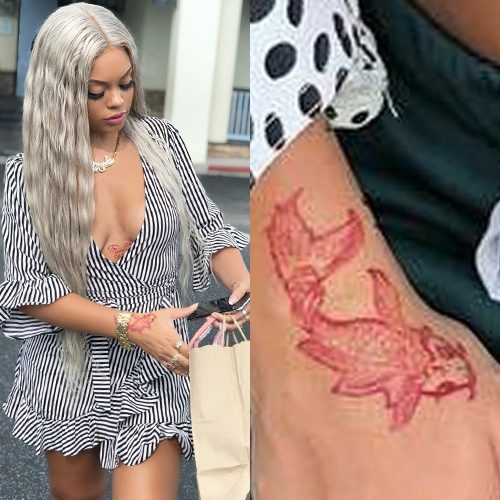 Miss Mulatto has an arabic scipt tattoo on the back of her right thigh. 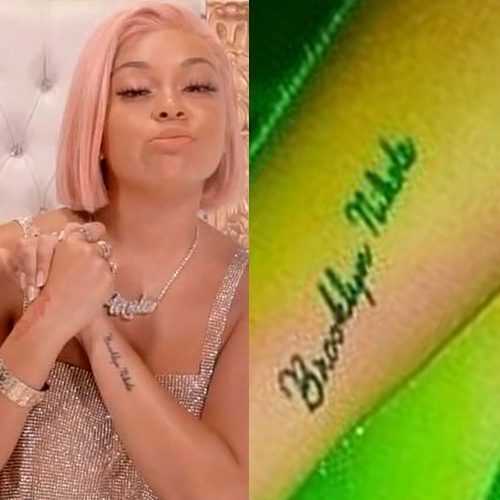 Miss Mulatto has a tattoo on her left wrist with the the no. 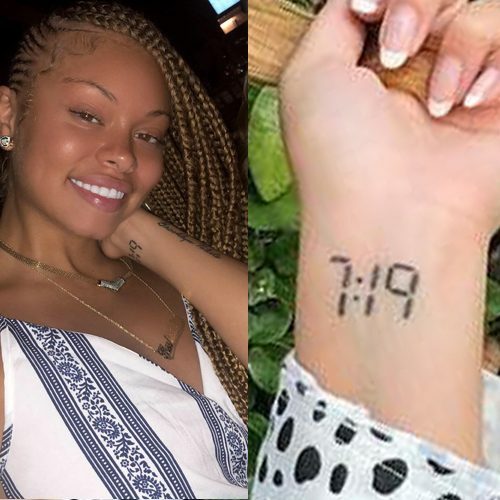 “7:19” for the release date of her album on July 19, 2018.